I love repurposing wool sweaters from the thrift store. 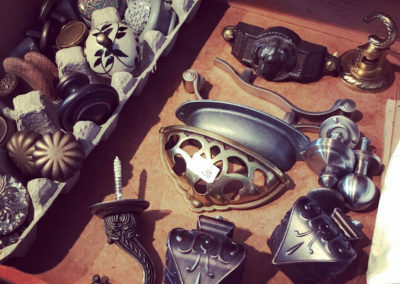 They’re perfect for upcycling and creating crafty goodness with. 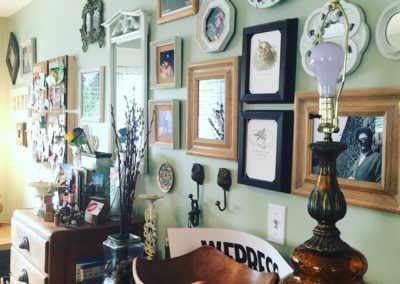 Here’s an awesome DIY for using up all those scrap pieces. 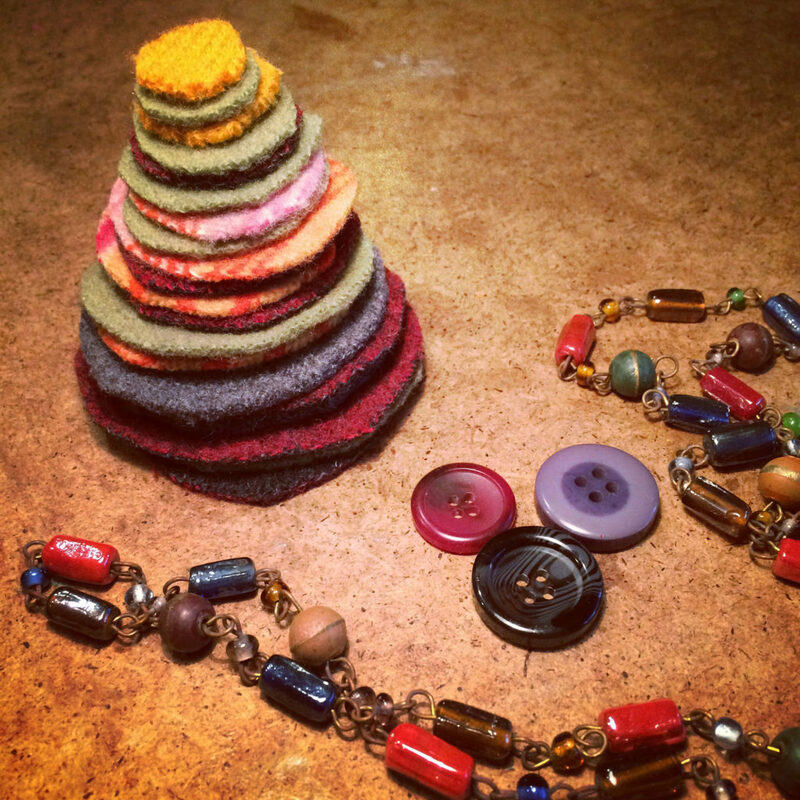 All you need is a bunch of wool sweater pieces, some old buttons, junk jewelry, ribbon plus a needle and thread. First head to your local Salvation Army Thrift Store and purchase an old wool sweater or two. Ideally I would try to find wool sweaters in various colours and patterns. I like how the variety makes the tree ornament more whimsical and fun. 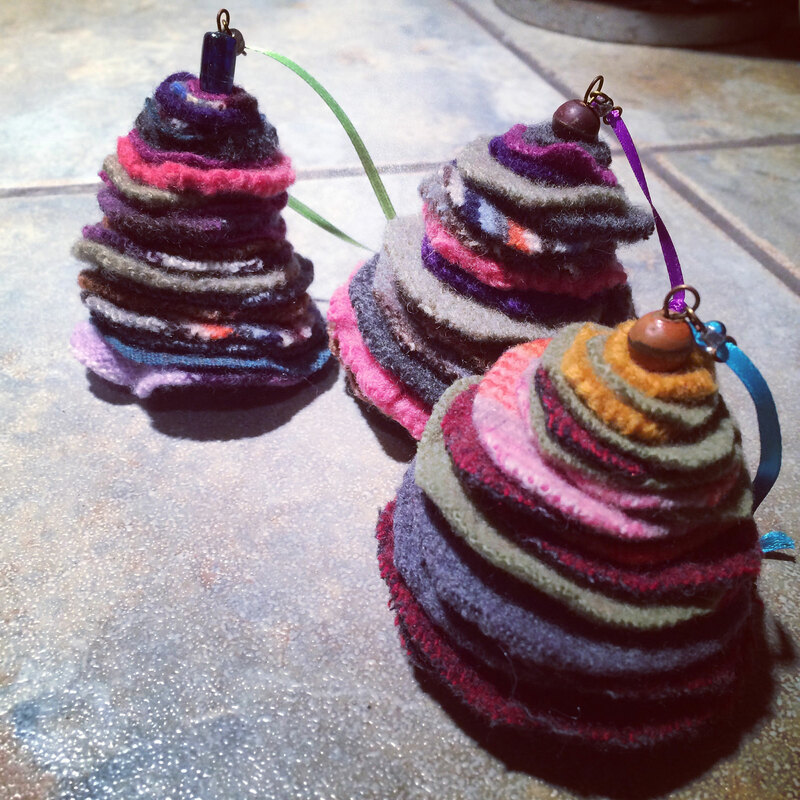 Feel free to choose colours that go with your Xmas tree colour scheme. 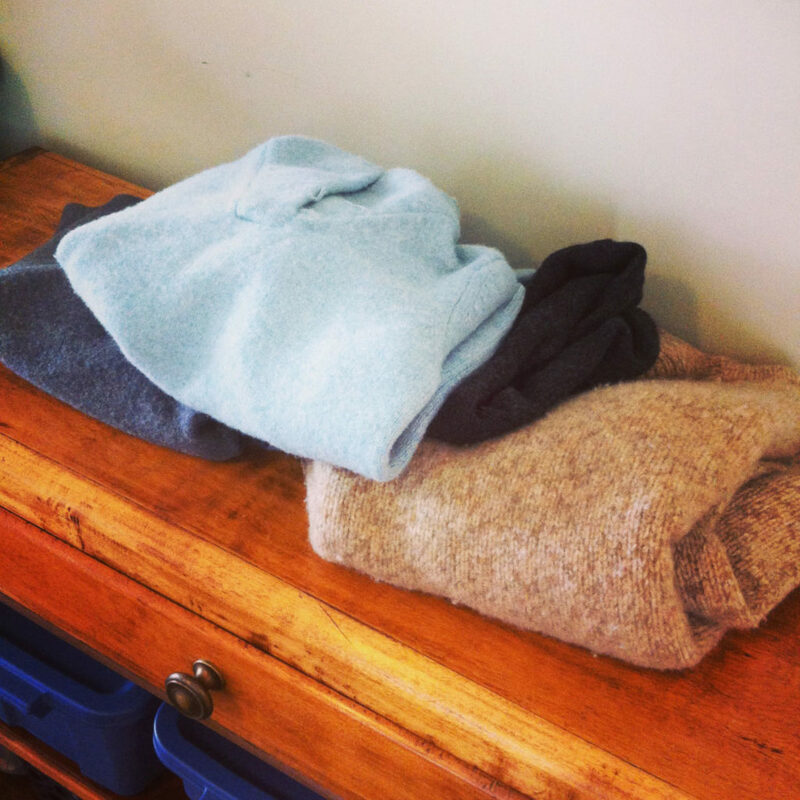 Once you’ve found your wool sweaters then wash them in hot water and throw them in the dryer. Make sure you’re using a sweater made from 100% wool. Now collect your supplies. The buttons are for the base of the tree. 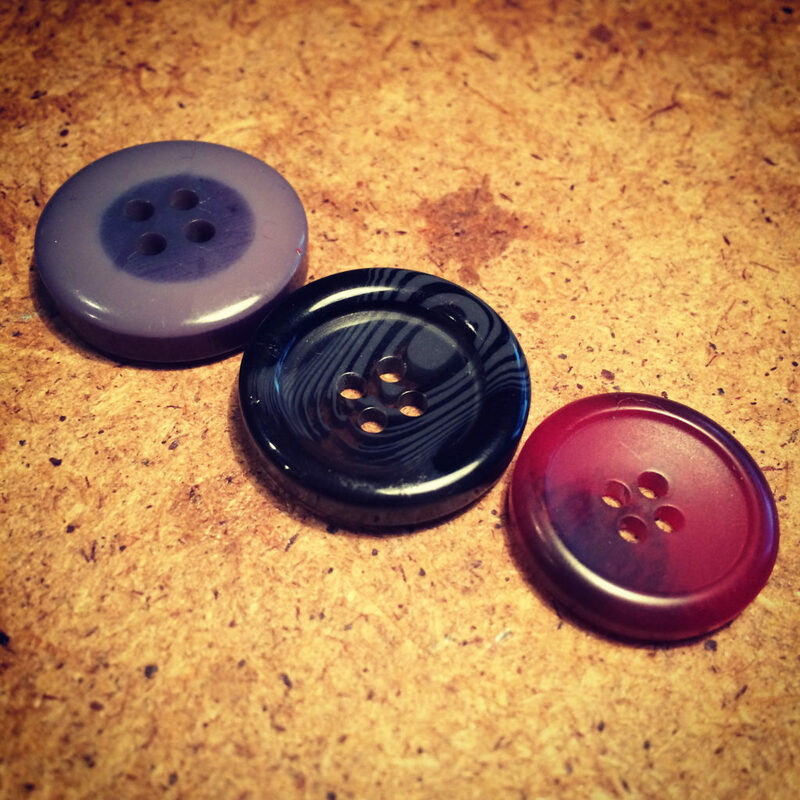 You’ll need 3 to 4 buttons that you can easily stack. 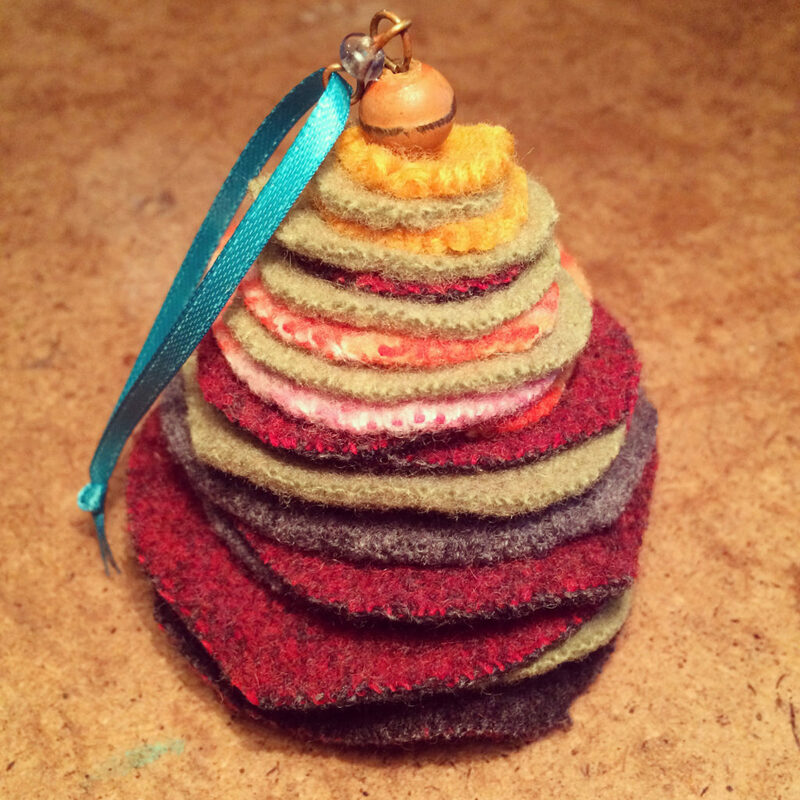 Once you’re ready, cut up the scrap wool into varying circle sizes. As you can see a variety of colours and patterns works well. 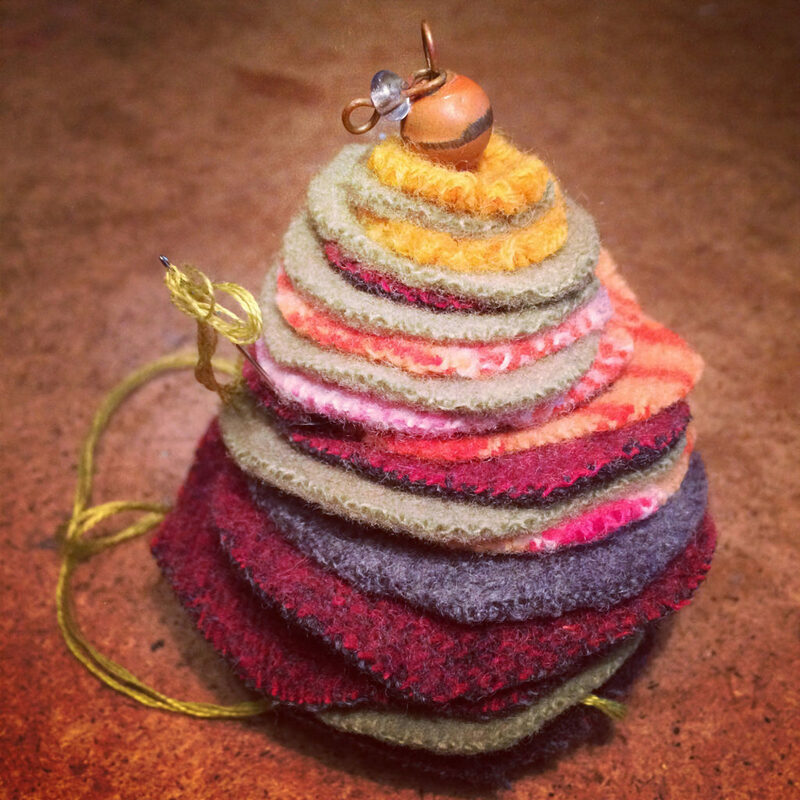 Stack the circles on top of each other going from large to small – this is how you create the tree. The junk jewelry is to give the ornament some ‘bling’ factor – I’ll use this for the top of the tree. It not only gave some bling to the ornament but also helped with adding ribbon for hanging the ornament. Now you’re ready to stitch the tree together. 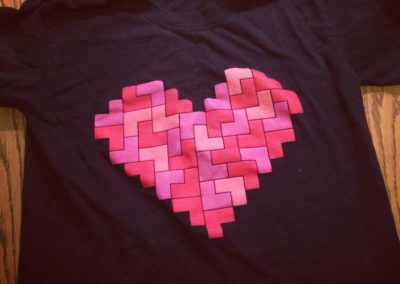 I used embroidery thread but feel free to use regular thread. First stitch the buttons together for the bottom then stitch up through the layers of wool to the top. 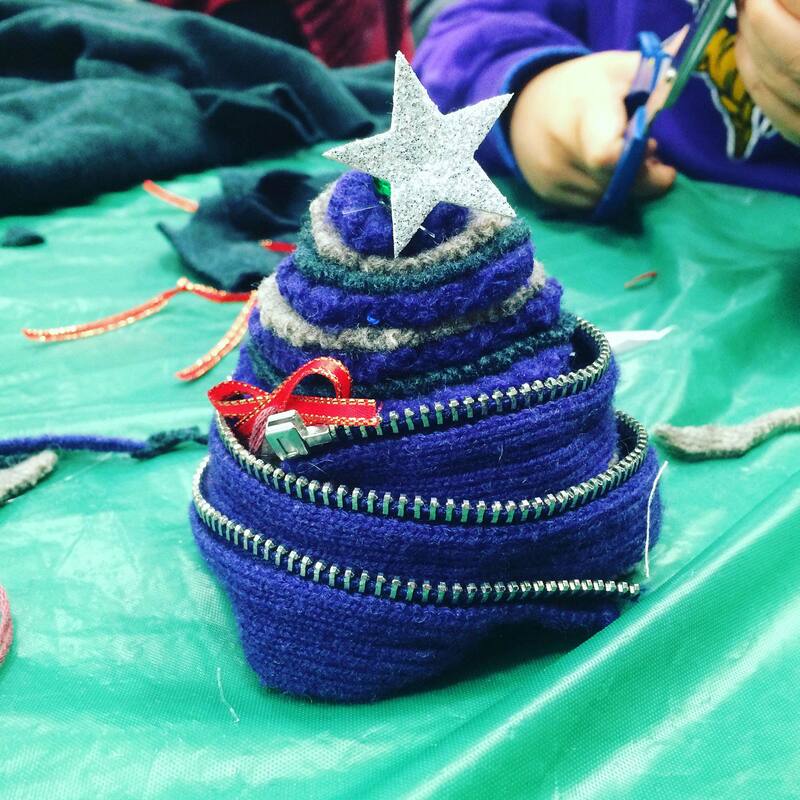 This is when I added the junk jewelry to the top of the ornament and then thread back through to the bottom of the tree. Here’s the bottom with the three buttons… I tied the ends of the thread and hid them from view. Last step was adding a piece of bright ribbon for hanging the ornament. Done! 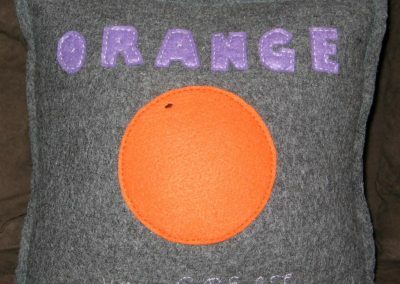 I love how simple this project is yet it looks pretty darn funky. 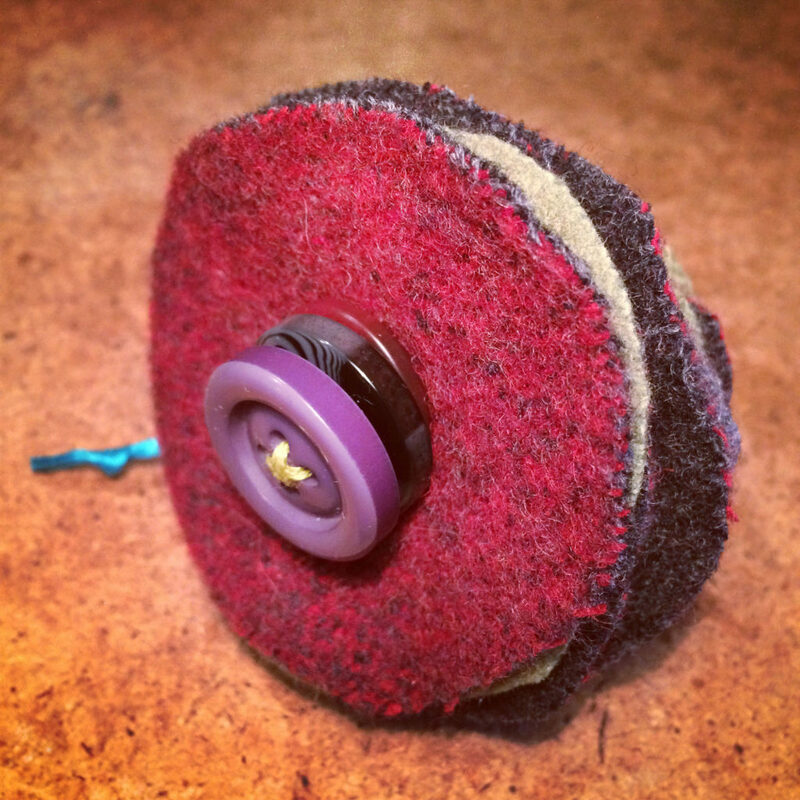 It’s perfect for using up your spare buttons, scrap wool and dated jewelry! Enjoy!